One of the top character actors of his era, John Turturro is a fixture of the contemporary American independent filmmaking landscape. 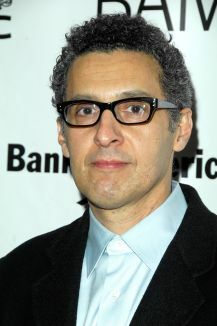 Born February 28, 1957, in Brooklyn, NY, Turturro became fascinated by movies during childhood, and after graduating from college he won a scholarship to study at the prestigious Yale School of Drama. He first gained notice in regional theater and off-Broadway, earning an Obie Award for his starring role in Danny and the Deep Blue Sea. He made his film debut in Martin Scorsese's 1980 masterpiece Raging Bull but did not reappear onscreen prior to 1984's The Exterminator 2. That same year, he debuted on Broadway in Death of a Salesman. Small roles in diverse fare including Susan Seidelman's 1985 comedy Desperately Seeking Susan, Scorsese's 1986 drama The Color of Money, and Woody Allen's masterful Hannah and Her Sisters kept Turturro busy throughout much of the decade, but his breakthrough performance did not arrive until Spike Lee cast him as a bigoted pizzeria worker in 1989's Do the Right Thing. 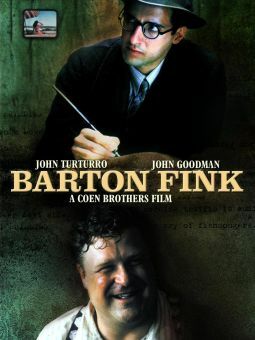 A scene-stealing turn in the Coen brothers' 1990 gangland drama Miller's Crossing followed, and in 1991 the Coens cast him as the titular Barton Fink, a performance which garnered Best Actor honors at the Cannes Film Festival. 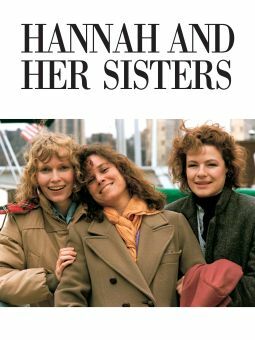 Subsequent lead roles were infrequent, although in 1992 he wrote, directed, and starred in Mac, a little-seen indie feature that won him a Golden Camera award for Best First Feature at the 1992 Cannes Festival. Supporting turns in acclaimed offerings including Quiz Show, Clockers, and Grace of My Heart (in which he expertly portrayed a Phil Spector-like music producer) followed before Turturro's next starring role, in Tom DiCillo's whimsical 1996 comedy Box of Moonlight. In 1998, the actor again collaborated with both Lee and the Coen brothers, working with the former on He Got Game and the latter on The Big Lebowski. Also in 1998, Turturro wrote, directed, produced, and starred in Illuminata, a comedy set against the backdrop of a struggling, turn-of-the-century New York theater company. The following year, he again took on the New York theater, appearing in Tim Robbins' Cradle Will Rock, an exploration of the relationship between art and politics set in 1930s New York. He remained an in-demand character actor, as well as an occasional director into the next century, starting the 2000s with a leading role in the chess drama The Luzhin Defence, reteaming with the Coen brothers for O Brother, Where Art Thou?, and working with Adam Sandler on Mr. Deeds. 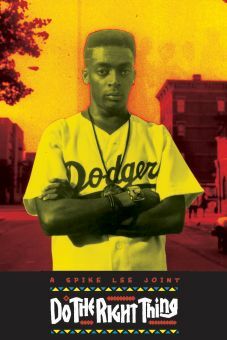 In 2004 he worked for Spike Lee yet again in She Hate Me. In 2005 he wrote, directed, and acted in the blue-collar musical Romance & Cigarettes. He appeared in The Good Shepherd in 2006, and the next year he appeared in the sci-fi blockbuster Transformers. In 2008 he joined up with Lee yet again to play a soldier in his World War II film Miracle At. St. Anna, and teamed with Sandler again for You Don't Mess With the Zohan. The next year he appeared in the remake of The Taking of Pelham 1 2 3, and the Transformers sequel. He would return to that franchise for the third film in 2011, and that same year he would join the Pixar family voicing Lightnin' McQueen's rival in Cars 2. Spent a year teaching history at a Harlem high school before becoming an actor. Made his feature-film debut in Martin Scorcese's 1980 Raging Bull; worked with the director again six years later in the The Color of Money. First worked on Broadway as an understudy in 1984's Death of a Salesman starring Dustin Hoffman. Won a Theatre World Award for Best Debut Performance and an Obie Award for the play Danny in the Deep Blue Sea in 1984. Has appeared in numerous films by director Spike Lee (beginning with 1989's Do the Right Thing) and writer-directors Joel and Ethan Coen (beginning with 1990's Miller's Crossing).